Star Wars has been covered three times already here at Lost in Translation. The first time was for the prequel/reboot, Star Wars: Episode I – The Phantom Menace; covering how the film brought back the Galaxy Far, Far Away. The second time was for the CG animated series, Star Wars: The Clone Wars, showed how the TV show strengthened Star Wars: Episode II – The Attack of the Clones by filling in details between that film and Star Wars: Episode III – Revenge of the Sith. The third time was for the pilot for Star Wars: Rebels, “Spark of Rebellion”, showed the potential of the recent TV series. What’s left with Star Wars? Richard Toscan, in an attempt to revive radio drama in the US, worked at getting several works produced at KUSC, the University of Southern California’s campus radio station. One of Toscan’s students suggested adapting Star Wars as an episodic series, a natural fit given that similar serials like Flash Gordon and Buck Rogers inspired the film and were themselves adapted as radio serials. Getting the clearances to produce such a series, though, looked expensive. However, George Lucas had gone to USC, so the rights to produce the radio series was sold to KUSC and National Public Radio (NPR) for one dollar. Lucas also made the music by John Williams and the sound design by Ben Burtt available to the production. That just left paying for the script, the actors, and the studio. NPR turned to the one radio network with extensive experience in radio dramas, the BBC, for assistance. In return for the British rights to the series, the BBC provided the budget needed to get the production done. The adaptation was written by Brian Daley, a science fiction author who had written the earliest of the expanded universe novels, The Han Solo Adventures (Han Solo at Star’s End, Han Solo’s Revenge, Han Solo and the Lost Legacy). 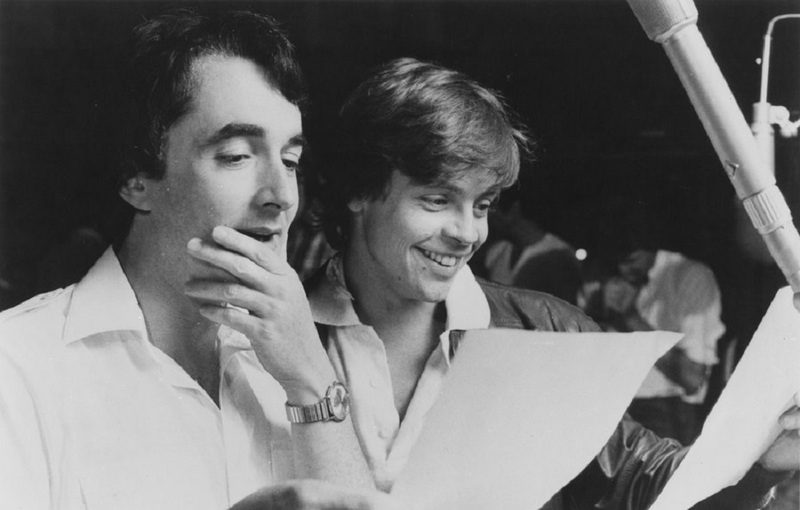 Daley worked from early drafts of Lucas’ scripts for Star Wars, adding material as needed to fill in the thirteen-episode run, for almost six hours of radio drama. Casting became a problem. While Mark Hamill and Anthony Daniels returned as Luke Skywalker and C-3P0, respectively, the rest of the cast wasn’t. Harrison Ford was busy with Raiders of the Lost Ark. 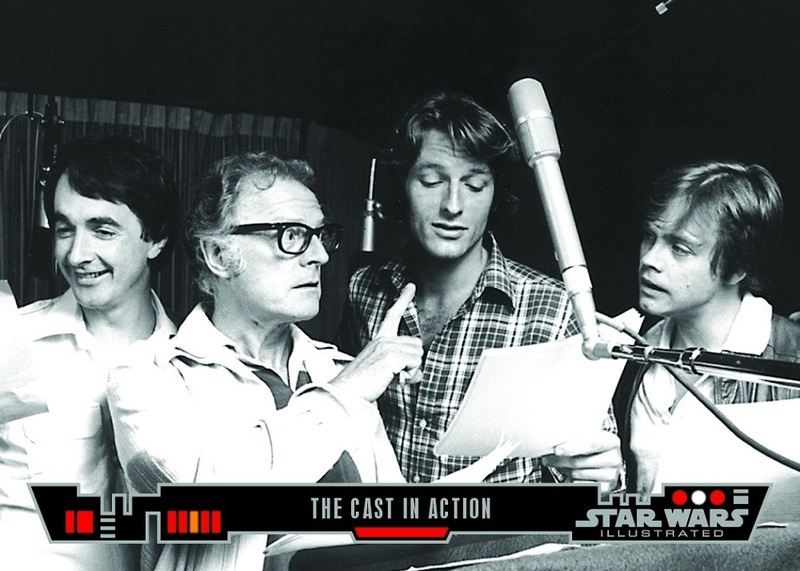 The new cast included Ann Sachs as Princess Leia, Bernard Behrens as Obi-Wan Kenobi, Perry King as Han Solo, Keene Curtis as Governor Tarkin, and Brock Peters as Darth Vader. 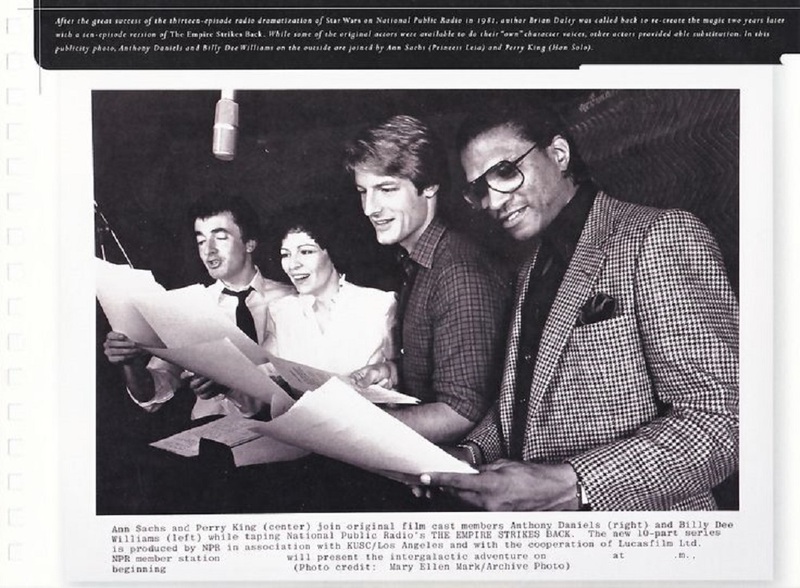 The debut of the series in March of 1981 saw NPR’s audience increase to three-quarters of a million new listeners, with the number of young adults and teenagers increasing four-fold. With Star Wars: The Empire Strikes Back having been in theatres the previous summer, fans were looking for more Star Wars. How well did the radio drama adapt the first film? A series, whether on TV, on radio, or even as a B-reel serial, still runs longer than most films. 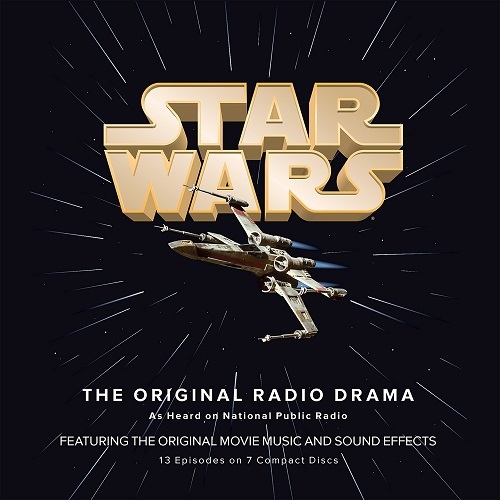 The Star Wars radio drama is no exception; it ran for just under six hours over thirteen episodes, about three times longer than the movie. Radio also can’t rely on visual effects to show what’s happening. Given that Star Wars pushed the limits on what can be done with special effects, the radio drama would have a steep task in front of it. As mentioned above, Brian Daley used early drafts of the film’s script while writing his own. He expanded details from the movie. Episode 1 starts with Luke hanging with his friends, racing with them, including through Begger’s Canyon. The audience meets Biggs Darklighter, voiced by Kale Browne, and hears his plan to jump ship to join the Rebellion. Episode 2 begins with Princess Leia on Ralentiir, using her consular ship, the Tantive IV, to smuggle goods needed by the Rebellion. It’s where she learns about the Death Star and runs into Darth Vader for the first time. Leia convinced her father to let her take the Tantive IV to intercept the plans for the Death Star at Toprawa. The space battle between the Tantive IV and the Star Destroyer that begins the movie begins in Episode 3 as Leia arrives at Tatooine to find Obi-Wan Kenobi. After Episode 3, the drama follows the action in the movie. Dialogue gets changed or added to help describe the setting and the action. Scenes get added to provide depth and motivation. Han has a rougher edge than he does in the movie, but there’s still a heart of gold. At the same time, some relationships are shown just as quick on radio as in film; C-3P0 and R2-D2’s friendship comes out in their first two minutes of air time in Episode 3. Vader benefits from the medium; it is difficult to loom and menace through sheer height on radio. Instead, Vader comes across more as a fallen paladin, philosophical and a believer in his version of the Force, thanks to added dialogue. Sound effects carry most of the battle scenes. There’s no way to show a flight of X-Wings diving down to the Death Star’s trench, nor is there a way to show a lightsaber other than dialogue and sound effects. The production had full access to the sounds from the movie, but it still fell on to the actors to convey a sense of determination and wonder as needed. Luke’s training on the trip to the former Alderaan had Ben coaching him at each step. For added fun, the scene with Greedo threatening Han could not have subtitles, so there was no attempt to translate “Oota goota, Solo?” into English. Han understood Greedo, so the audience had to work out what the Rodian said from the reactions, like, “Tell Jabba I’ve got his money.” And Han shot first. The climactic battle to destroy the Death Star took up most of the last episode. While the snubfighter battle was a visual feast, the chatter between pilots gave the drama a way to show what was happening without video. The first half of the battle was presented as Leia and the Rebellion command staff on the jungle moon of Yavin listened to the pilots’ chatter, unable to do anything when Vader came out in his prototype ship. The last half of the battle was from Luke’s perspective starting just before his run through the trench. Is it possible to have Star Wars without the visuals? Yes, as the radio drama demonstrated. The drama was Star Wars and provided depth that the movie couldn’t. The drama was successful, leading to Empire being adapted two years later. The adaptation of Star Wars: The Return of the Jedi was delayed until 1996 and released on CD due to disagreements, mainly financial. The radio plays carried the feel of the movies while expanding on what was shown.